I had the rare pleasure of flying Lufthansa, classe primo. What an amazing experience. Not only was the food delicious and the cabin spacious but the flight attendants were not surly! And the best part of all..every seat had a ROSE! So typically after I fly, I rename the airlines. For example. So for now, Lufthansa gets to keep its name. Please share your monikers for the airline carriers. This new study by the Economic Policy Institute looks at trends in state level inequality over the past couple decades (h/t: Alison Kemper). 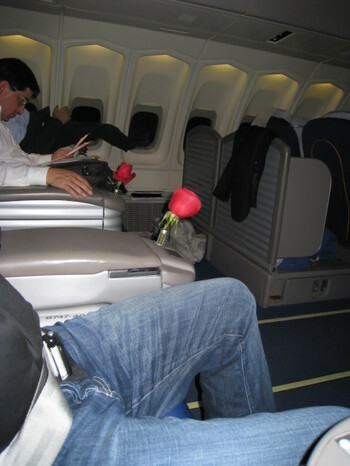 NPR ran a story this morning about the trend of airlines charging for inches of leg space. Any way they can squeeze a nickle or dime out of you, they will. Jet Blue and United are taking the lead to offer passengers 6-8 inches of extra leg room for $10-$20. With measures like this, t he airline industry is going to crash and burn just like the Big 3 - Rigid Fat Cats of Detroit's automotive industry. 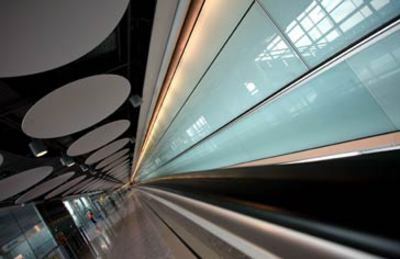 "The Fat Lady Bought a Bigger Dress"
London Heathrow opened a new terminal this week. I love this quote from Saturday's Globe and Mail, "Until now, that is. Heathrow's controversial new Terminal 5, which opens to passengers on Thursday, is supposed to put a shiny gloss on the airport's reputation by relieving some of that congestion. The fat lady hasn't lost weight, but she has bought a bigger dress." The Queen gave it her official blessing. Italian Stone Floors, open airy terminal, 4.3 billion pounds on the buildout. What do you think? Just flying out of one of the nation's richest cities with the worst airport, LaGaurdia The amenities are a joke, the airport design is uglier than a bus terminal. 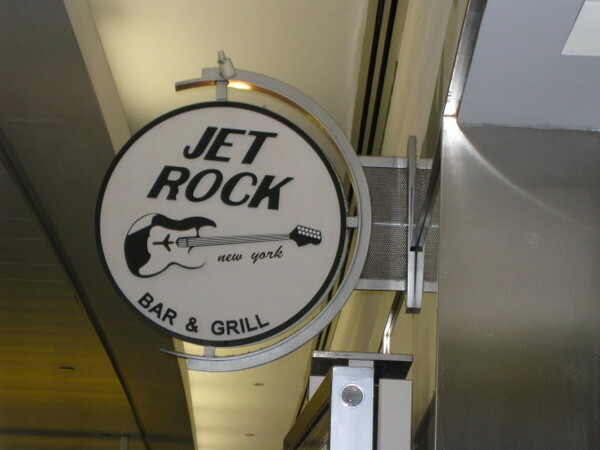 And when I asked the TSA agent his favorite restaurant he smirked and replied, "Not in this dump." While JFK recently went over a major makeover with celebrity chefs, gourmet markets and martini bars, it's twin sister is in dire need of a face lift! Finally, It's here...JET SET. I'm starting the Creative Class Blog on Travel. In the past year of our global travels, I feel I must give you the down low on the best of and worst of the travel experience. Post 9/11, the increase of low cost carriers, and airline budget cruches have turned the travel experience into a nightmare. 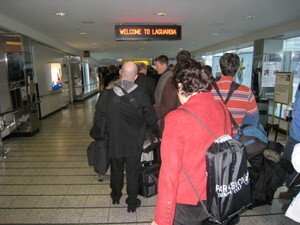 Long security lines, TSA new rules and flight delays add to the frustration. The remaining hope for sanity is the airport itself. Concessionaires like HMShost, Creative Host, and others are trying hard to capture the revenues of travelers who are spending much more time and money at the airport. So with my past airport experience and my weekly global travel, I'm going to give you the inside scoop of the best restaurants, bars and shops. And where to go when you land. So here's my first. We connected through the nightmare that is London Heathrow last week on route to Copenhagen. Although it was too early to dine there, I love the Caviar House. Beautiful design, high end food and lots of space for luggage. According to a Census survey from 2004, with a population of 227 million over the age of 15 in the U.S., almost 79 million of those people (35%) did not work for the prior 4-months. The U.S. Bureau of the Census just released it's report Reasons People Do Not Work: 2004. At even the busiest times, a large number of working-age people in the United States do not have or want jobs. Whatever the state of the economy, many people, even those who want to work, have been outside the workforce for long periods of time. Whether their joblessness is brief or extended, nonworkers constitute a large and important pool of human resources. 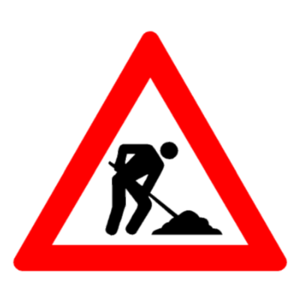 Much research has been devoted to studying the characteristics and behavior of workers. Less is known about nonworkers. This is the second report that uses data from the nationwide Survey of Income and Program Participation SIPP) to fill some of the gaps in this knowledge. It examines several key characteristics of nonworkers, the main reasons they do not work, and some of the connections between their characteristics and their reasons for not working. Retirement (38 percent) and school attendance (19 percent) were the most commonly reported reasons. Chronic illness or disability was the main reason for almost 1 in 7 nonworkers (15 percent). Taking care of children or others accounted for 13 percent. Around 6 percent cited an economic reason for not working––about 2 percent were on layoff, and 4 percent were unable to find work. Approximately 2 percent reported a temporary injury or illness as the main cause for being out of work. The remaining 7 percent either were not interested in working or reported an “other” reason. It's clear that the number of people actively looking for work is related to current economic conditions. When times are difficult, many people give up and just stop looking for work and are then no longer counted as "unemployed". Understanding everyone who is not currently in the workforce is a more meaningful undertaking. The importance of understanding that every single person has creative potential and that ways to tap all that potential will be the true source of competitive advantage is reinforced by this study. As my colleague in Sweden, Charlotta Mellander, points out, the real challenge is making jobs and occupations rewarding enough (and not just with money) so that people choose working over not working.